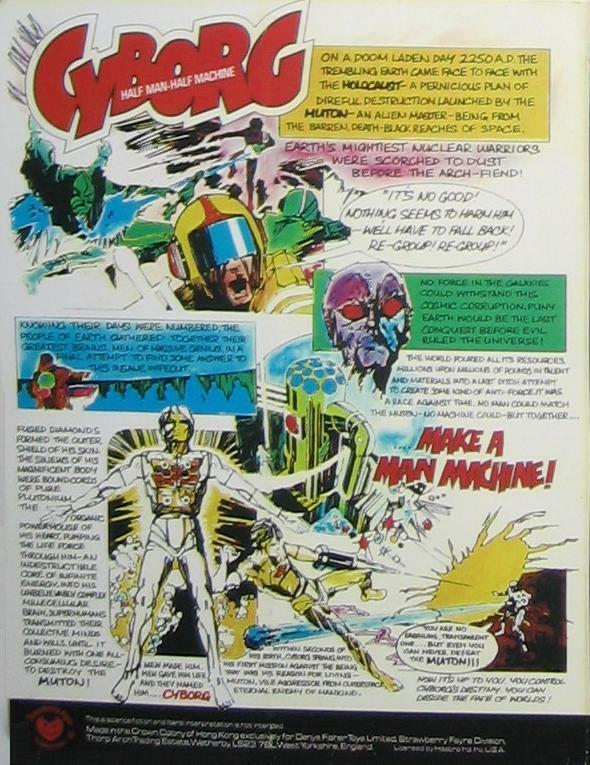 these toys were based on a japanese line called henshin cyborg,which was in itself part of the japanese version of action man, combat joe, when takara made a godzilla costume for combat joe, the line took off, more so than it had with just military costumes,takara decided to make the line into a figure that could be dressed as japanese superheroes, and cast the combat joe in clear plastic, with a new head and mechanical insides.the shonen cyborg was cyborgs son, and was intended to have costumes of the sidekick type characters,this was 8 inches high, but the head and insides were different, although the shonen is the same size as our cyborg,it was actually pantoed down from the 12" japanese figure,and has the same head and insides.this is why the cyborg is basialy a small action man with the same body appart from the head and hands.in japan, the henshin cyborg was eventually released in 3 3/4 scale,and became the MICRONAUTS line all over the world, the biotron robot has a "v" on its body, biotron was intended to bridge both scales being playable with both the micronauts and henshin cyborg, the v standing for project victory.the micronauts would eventually spawn transformers as well, so the japanese orihginal lead to at leat three hugely successful uk toy lines. 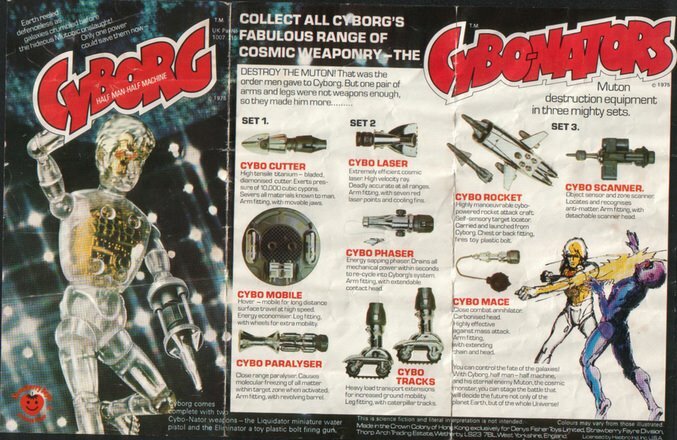 I was lucky enough to have Cyborg, Android, Muton AND the ship – all of which were pretty easy to find in Liverpool and St Helens, where I grew up. LOVED 'em. I loved my Muton, hours I would stare through his skin at his inners…. 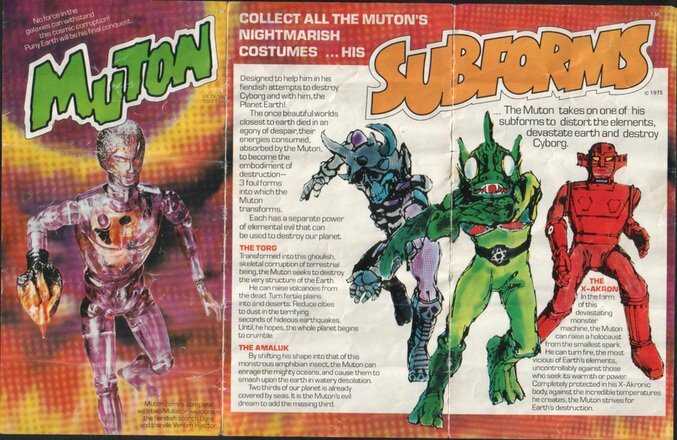 Still have both Muton & Cyborg complete in the boxes which where found in loft at parents home, haven't seen them for nearly 35 yrs and remember getting them for christmas 1976.
i just remembered the name of cyborg few days ago but could not remember the purple one muton , and found this good site . i also got these for christmas i guess was 75. be nice if i could find some now. 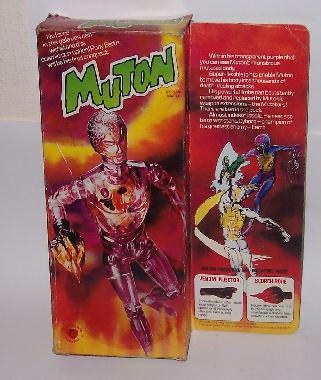 i have muton for sale if anyone wants one. 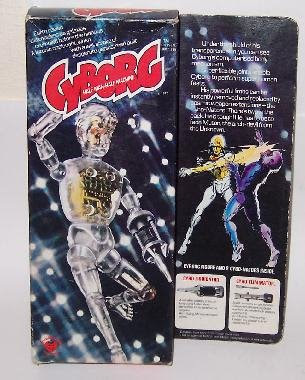 I still have cyborg, Muton Android and the Mighty Cybo-iterceptor in the loft. The ship is still boxed with the removable cybo-invader still inside. I’ll have to dig ’em out for a photo session sometime! !